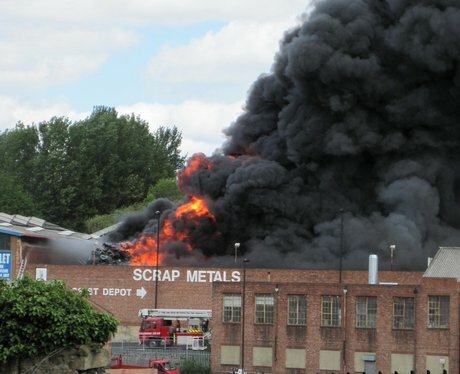 Smoke rises from the scene of a fire at a former scrapyard in Byker, Newcastle. Tyne and Wear Fire Service said 40 officers were dealing with the blaze at a former scrapyard in Albion Row, Byker in Newcastle. Twelve fire appliances were on the scene, including two specialist aerial ladder platforms.